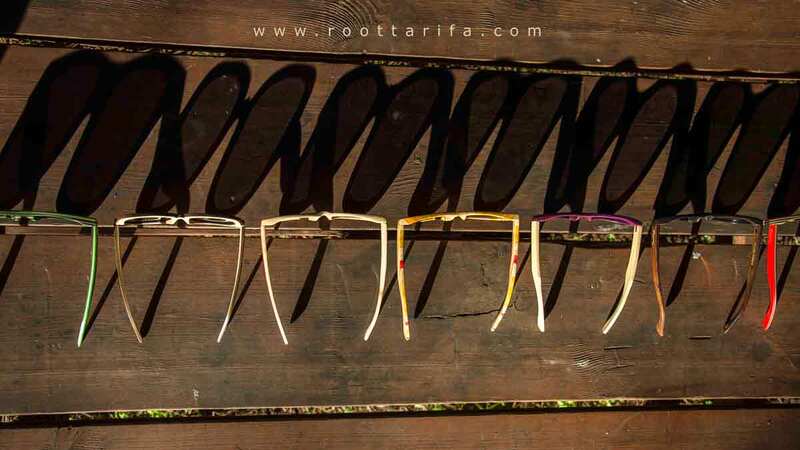 that we mount in our sunglasses of natural wood and Mixed, Root Sunglasses. 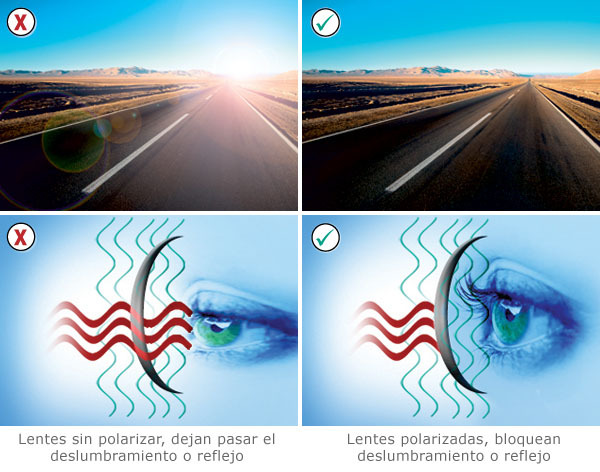 Polarization is a filter carried by some lenses that allows filtering direct rays reducing glare and improving vision. They are good for environments with many brightness such as maritime environments, snow, etc., however, they can make it difficult to see according to electronic device screens such as some mobile phones and other screens of different devices. 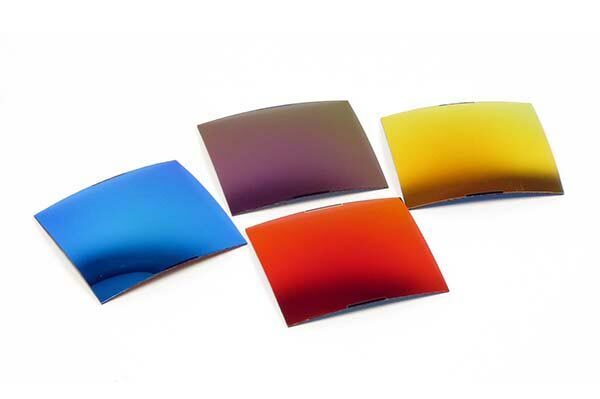 The multi-layer REVO coating is also called Iridium which provides the "mirror" effect that has been designed to eliminate harmful rays and provide eye protection far superior to the normal mirror coating (MIRROR). They provide the same vision whether they are used day or night. 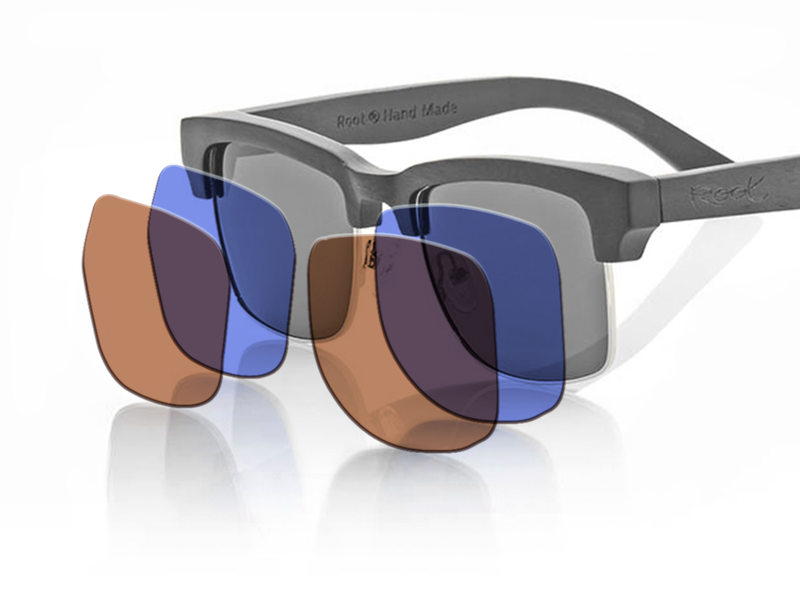 The REVO coating is made layer by layer and after the treatment the lenses acquire a changing mirroring color depending on the amount of light and how it affects it. REVO coverage provides a very fashionable mirrored effect these days but this type of lens requires special care to avoid wear or detachment of the cover that will make the lenses get ugly. Avoid abrasion and excessive exposure to chemical agents, seawater, chlorine, dust, sand etc. Always wash them with fresh water in case of exposure to these agents and avoid rubbing insistently when cleaning them, following these simple instructions your mirrored lenses will last much longer while maintaining their original color. Anything based on water, especially when sweat comes in contact with the lens, is likely to create drops as shown in the image above, which tends to form optical distortion. A hydrophobic coating largely supports repelling water droplets on the surface of the lens since the stiffness between the liquid and the hydrophobic exterior is less. The hydrophobic coated lenses are also antistatic that keep away dust and dirt particles. When such particles come into contact with these lenses, they are likely to simply fall off. Hydrophobic coatings also require less cleaning than normal, as it repels stains and grease from our fingers. In this way, cleaning the lenses is much faster and without stress. CR39 lenses are very similar to "glass" lenses in terms of weight properties and hardness. Being thicker and heavier than the TAC lenses have a superior quality to these with greater resistance to scratching and breakage with UVA 300 protection. We mount this type of lenses in its version of solid or gradient colors in some models our glasses by the quality and aesthetic value that they provide. The PC lenses are made of Polycarbonate, a very resistant material and are very similar to the "TAC" lenses being thicker than the latter having the same degree of protection as the TAC UV400 lenses filtering 98% of the ultraviolet rays. thicker and somewhat heavier than the TAC lenses we mount this type of lenses in its version of solid colors with REVO coverage or gradients in some models with open frames or where the lens occupies a large part of the front to improve comfort and lightness and for its most consistent characteristics. . The Nylon lenses are very resistant being still finer light and flexible than the "TAC" lenses having the same degree of protection against ultraviolet rays as the latter (UV400) filtering 98% of the ultraviolet rays. They are suitable for the latest models of glasses where the lens occupies a large part or the total of the front of the same so that the result is a light and comfortable glasses. Scratches on a neutral lens (gray or brown) will be clearly shown as a line or a point of a lighter color than the lens itself, on mirror lenses these scratches or stings will be shown as a black dot or line that can be confused with a speck of dust or a stain, in no case rub insistently or using cleaning products of any kind because in these lenses you will only be able to remove the mirrored lens cover, aggravating the problem.